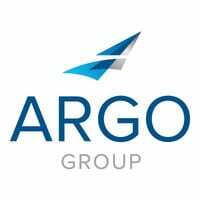 HAMILTON, Bermuda – January 25, 2019 – Argo Group International Holdings, Ltd. (NYSE: ARGO), an international underwriter of specialty insurance and reinsurance, is pleased to announce the Argo Group Graduate Training Program. Based in Bermuda, the program gives recent graduates who meet the academic criteria an unprecedented exposure to a leading insurance and reinsurance company. Ryan Spencer-Arscott: Spencer-Arscott graduated from St. John’s University with a Bachelor of Science in actuarial science and is currently studying for his actuarial exams. Tatyana Butterfield: Butterfield graduated from Temple University with a Bachelor of Business Administration in risk management and insurance. She also is a member of Women in Reinsurance (WiRe) and is working toward her CPCU and ARe designations, as well as her RAA Scholar Certificate. Daniel Pell: Pell graduated with a Bachelor of Arts in economics from University of Waterloo and is studying for his CPCU designation. Brittney Walbaum: Walbaum graduated from Hawaii Pacific University with a Bachelor of Science in mathematics, and from Indiana University with a Bachelor of Science in psychology. She is pursuing her Master of Business Administration online with Jack Welch Management Institute at Strayer University.